Do we ever love our Rogues. 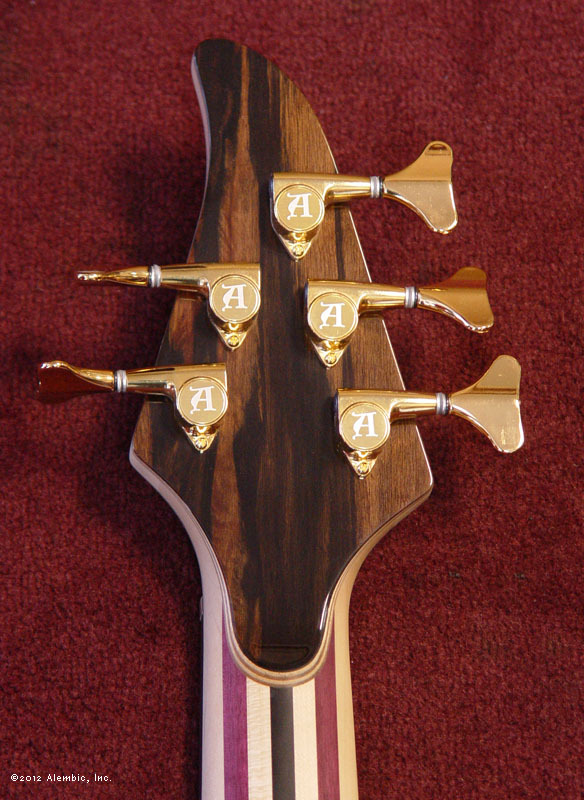 The shape is sleek, and with that long upper horn that reaches clear to the twelfth fret, balance is a total non-issue. 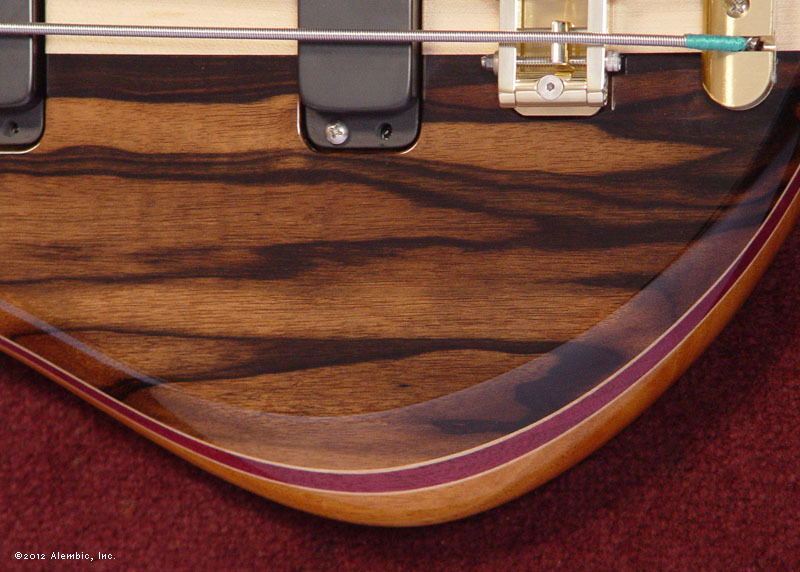 Sultry Macassar Ebony makes the face of this bass. 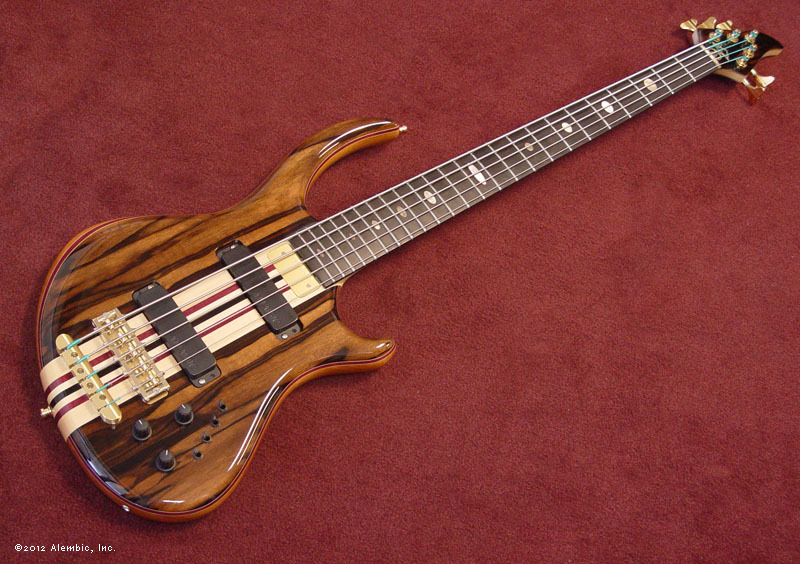 And while it's gorgeous, the real beauty is in the tone. 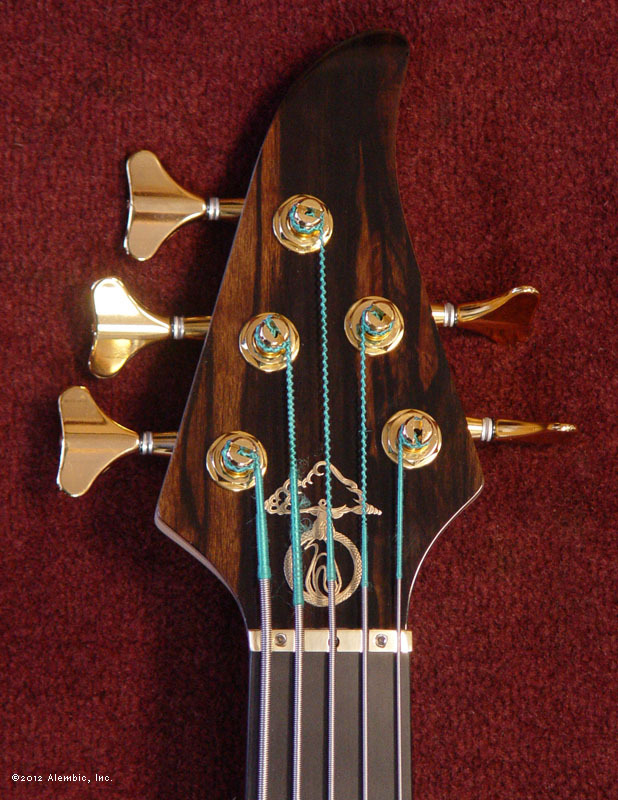 Ebony shapes the tone with both its density and oil content. We find that a complex bright and dark tone results when we employ Ebony. 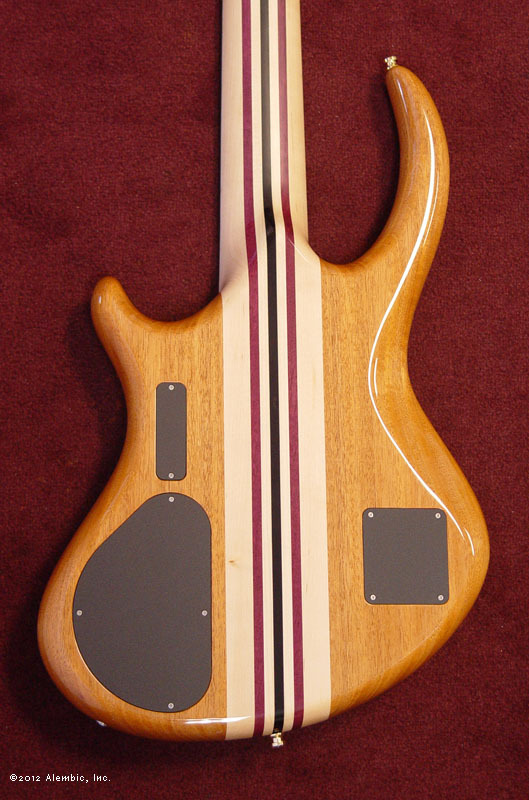 What that means for a player is a versatile bass that will be just as comfortable playing slap as it is playing reggae. There's a few custom-class goodies served up on this Rogue. 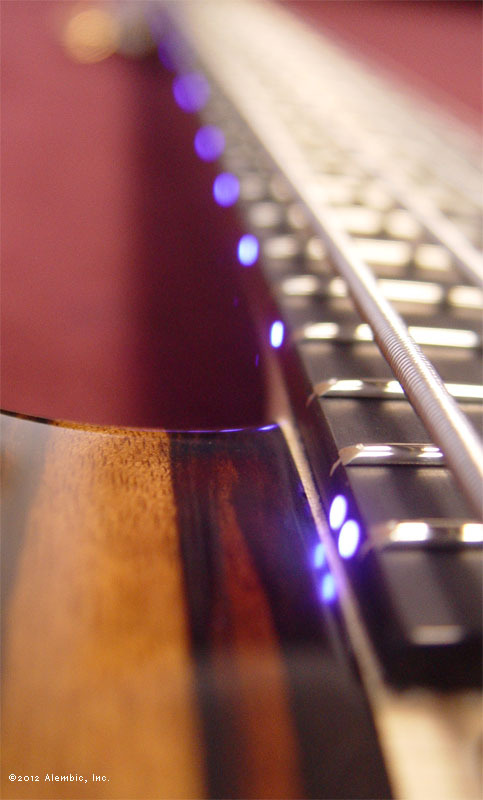 Apart from the upgraded top wood, there's black Tahitian mother of pearl oval inlays in the fingerboard, and a relatively new feature: violet side LEDs. They look so mysterious paired with all the dark woods on the bass.